Gianluigi Nuzzi was deny access to the Conclave by not receiving accreditation for reporting. Good thing, too. There is an appropriateness for such a solemn occasion, which does not include the type of "reporting" he seems to prefer. Black means NO and white means YES. Insider Prophecy for Tomorrow or Just a Fond Memory? Good morning! According to my sources, tomorrow there will be four main groups at the start. Scola with his friends (mainly not Italian); the Americans, who might vote Dolan as forefront candidate, and ready to change on O'Malley; the Sodano's friends, the "diplomacy" cardinals, who will support Scherer from Sao Paulo at the start; and Bertone's group, who might present Coccopalmerio. These two last groups will be very important, because once the realize they have no chance to push their own candidate, will certainly converge on one of the two main runners. And, O'Malley twittered yesterday. How inappropriate and sad. If Dolan is elected pope, I shall move into a cave for the rest of my life. Ganswein for Pope! And, he is a Knight of Malta. And, an "insider". Tuesday, March 12, 2013, at 10 am in the Vatican Basilica, as established by the General Congregation of Cardinals, will be celebrated Mass "for the election of the Roman Pontiff." The Mass will be celebrated by Cardinal Angelo Sodano, dean of the College of Cardinals. Will concelebrate all the Cardinals. The cardinals who are concelebrating, wearing a red robe, the spool and the mozzetta and carrying the miter white damask, are requested to meet for 9.30 am in the Chapel of St. Sebastian, to coat the holy garments. All those who, in accordance with the Motu Proprio " Pontificalis Domus ", make up the Papal Chapel and wish to participate in the Holy Mass, are requested to meet for 9:30 am, at the altar of the Confession of St. Peter's Basilica for the post that will be indicated to them by the papal masters of ceremonies. - The parish priests of Rome: surplice and red stole over a black cassock. Vatican City, March 9, 2013. And, if the Conclave news gets hot and heavy tomorrow, I shall not get to Leo I. Hopefully, I can work on those posts this evening. I am sad that I cannot spend more time on the amazing and prolific Gregory. I only will have three references here on this blog. I am pressed for time to finish the entire series within the next two months, so I am truncating the number of posts on Gregory and Leo, who I shall start tomorrow. This has nothing to do with favoritism (although you all know I favor Bernard of Clairvaux) but merely with time. Like an excellent teacher, I would rather look at all in a cursory manner rather than skip any of these great Doctors of the Church. I am using Gregory to remind us of hell and purgatory. This idea of purgatory is essential to the ideal of perfection. We know, through this series, that those who are imperfect do no go to heaven. This logically leads to the idea of either a purgation in life, as part of the steps to perfection, or a purgation after death, which the Church calls "purgatory". Now, one can ask God to be purified while on earth, and for those seeking perfection, that to which we are all called, this is a good. For those who are not inclined to do so, the purification necessary will happen after one dies. Chapter Thirty-Nine: whether there be any fire of purgatory in the next world. for when St. Paul saith, that Christ is the foundation: and by and by addeth: And if any man build upon this foundation gold, silver, precious stones, wood, hay, stubble: the work of every one, of what kind it is, the fire shall try. If any man's work abide which he built thereupon, he shall receive reward; if any mans work burn, he shall suffer detriment, but himself shall be saved, yet so as by fire.67 For although these words may be understood of the fire of tribulation, which men suffer in this world: yet if any will interpret them of the fire of Purgatory, which |234 shall be in the next life: then must he carefully consider, that the Apostle said not that he may be saved by fire, that buildeth upon this foundation iron, brass, or lead, that is, the greater sort of sins, and therefore more hard, and consequently not remissible in that place: but wood, hay, stubble, that is, little and very light sins, which the fire doth easily consume. Yet we have here further to consider, that none can be there purged, no, not for the least sins that be, unless in his lifetime he deserved by virtuous works to find such favour in that place. One of the great evils of our time, and I must say, since Vatican II, being old enough to remember pre-Vatican II habits and sermons, has been the lessening of the sense of sin. Many adults I know refuse to admit they are sinning. Mortal sin separates one from God and, indeed, from heaven. Venial sins weaken the will and worse, stand in the way of purification, stopping the life of the virtues and causing a sliding into a state of mediocrity. Do not lie to yourselves. Only the perfect see God. The experience of being face to face with Beauty, Innocence, Truth and Goodness will cause more pain than one can imagine. Every small imperfection will be seen as an affront, an insult to God, as well as the creatures against whom you have sinned. For when I was yet in my younger years, and lived.a secular life, I heard from the mouth of mine elders, who knew it to be true: how that Paschasius, a Deacon of this Roman church (whose sound and eloquent books of the holy Ghost be extant amongst us), was a man of a wonderful holy life, a marvellous giver of alms, a lover of the poor, and one that contemned himself. 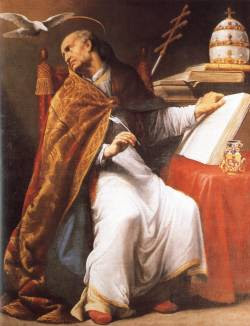 This man, in that contention which, through the exceeding hot emulation of the clergy, fell out betwixt Symmachus and Lawrence, made choice of Lawrence to be Bishop of Rome: and though he was afterward by common consent overcome, yet did he continue in his former opinion till his dying day: loving and preferring him, whom the Church, by the judgment of Bishops, refused for her governor. This Deacon ending his life in the time of Symmachus, Bishop of the Apostolic see: a man possessed with a devil came and touched his dalmatic, as it lay upon the bier, and was forthwith delivered from that vexation. Long time after, Germanus, Bishop of Capua (before mentioned), by the counsel of physicians, for the recovery of his health went to the baths: into which after he was entered, he found there standing in those hot waters the foresaid Paschasius, ready to do him service. At which |235 sight being much afraid, he demanded what so worthy a man as he was did in that place: to whom Paschasius returned this answer: "For no other cause," quoth he, "am I appointed to this place of punishment, but for that I took part with Lawrence against Symmachus: and therefore I beseech you to pray unto our Lord for me, and by this token shall you know that your prayers be heard, if, at your coming again, you find me not here." Upon this, the holy man Germanus betook himself to his devotions, and after a few days he went again to the same baths, but found not Paschasius there: for seeing his fault proceeded not of malice, but of ignorance, he might after death be purged from that sin. And yet we must withal think that the plentiful alms which he bestowed in this life, obtained favour at God's hands, that he might then deserve pardon, when he could work nothing at all for himself. For this supposedly small thing, a holy man suffered until another one prayed for his release. Do not take for granted that you will not go to a place of purgation. Now, goodbye to Gregory, and on, tomorrow, to Leo I.
Thankfully, a friend bought me boots, but they are not completely waterproof. I cannot believe that we are having snow on March 11th. What does hell have to do with perfection? Most of the pieces of writing I have chosen have been on love and consolations. These are necessary, and love keeps us focused. However, even the greatest saints had knowledge that hell is real and meditated on hell for the good of their own souls. Because we all can get complacent and proud, because we can all fall into spiritual sloth....We can be moved either by love or fear, but perfect love casts out fear; that is, once we are past purgation of sin, we realize, in gratitude, the love of God, which becomes the reason for our own goodness. All we have is from Him. 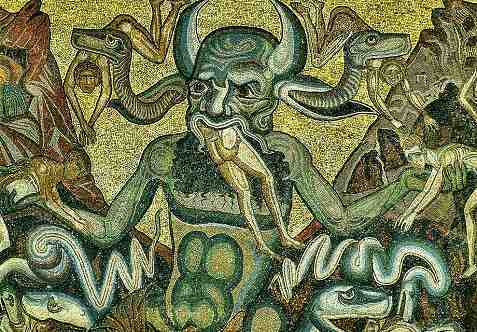 Here is the Great Gregory on hell, to help us remain honest in our pursuit of perfection. From his Dialogues My comments are in blue. To be continued...and excuse errors in spacing, as I cannot get these out of the document today. 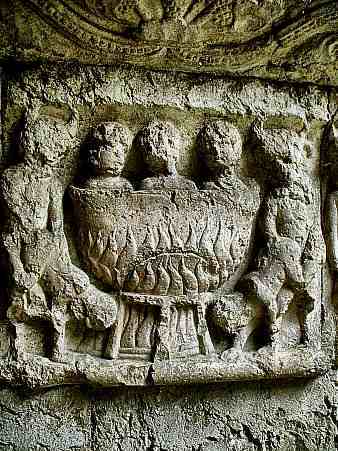 Chapter Forty-three: whether there is one fire in hell, or many. GREGORY. 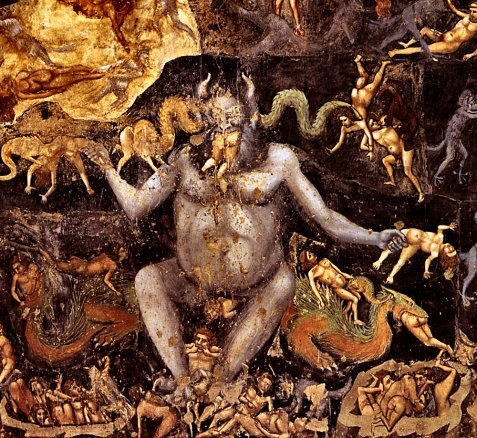 The fire of hell is but one: yet doth it not in one manner torment all sinners. For every one there, according to the quantity of his sin, |238 hath the measure of his pain. For as, in this world, many live under one and the same sun, and yet do not alike feel the heat thereof: for some be burnt more, and some less: so in that one fire, divers manners of burning be found, for that which in this world diversity of bodies doth, that in the next doth diversity of sins: so that although the fire be there all alike, yet doth it not in one manner and alike burn and torment them that be damned. Some contemporary teachers in certain seminaries would disagree with the Great Gregory here! PETER. Shall those, I pray you, which be condemned to that place, burn always, and never have any end of their torments? Chapter Forty-four: whether those that be in hell shall burn there for ever. GREGORY. Certain it is, and without all doubt most true, that as the good shall have no end of their joys, so the wicked never any release of their torments: for our Saviour himself saith: The wicked shall go into everlasting punishment, and the just into everlasting life.7Seeing, then, true it is, that which he hath promised to his friends: out of all question false it cannot be, that which he hath threatened to his enemies. PETER. What if it be said that he did threaten eternal pain to wicked livers, that he might thereby restrain them from committing of sins? GREGORY. If that which he did threaten be false, because his intent was by that means to keep men from wicked life: then likewise must we say that those things are false which he did promise: and that his mind was thereby to provoke us to virtue. But what man, though mad, dare presume so to say? For if he threatened that which he meant not to put into execution: whiles we are desirous to make him merciful, enforced we are likewise (which is horrible to speak) to affirm him to be deceitful. PETER. Willing I am to know how that sin can justly |239 be punished without end, which had an end when it was committed. GREGORY. This which you say might have some reason, if the just judge did only consider the sins committed, and not the minds with which they were committed: for the reason why wicked men made an end of sinning was, because they also made an end of their life: for willingly they would, had it been in their power, have lived without end, that they might in like manner have sinned without end. For they do plainly declare that they desired always to live in sin, who never, so long as they were in this world, gave over their wicked life: and therefore it belongeth to the great justice of the supreme judge, that they should never want torments and punishment in the next world, who in this would never give over their wicked and sinful life. PETER. But no judge that loveth justice taketh pleasure in cruelty: and the end why the just master commandeth his wicked servant to be punished is, that he may give over his lewd life. If, then, the wicked that are tormented in hell fire never come to amend themselves, to what end shall they always burn in those flames? It is because some do not understand God's mercy and His Goodness that some doubt that there is a hell, or deny that anyone is there. We are created in God's Image and Likeness, and part of this is our free will. God desires that we love Him freely. Only in freedom is there true love. PETER. I like very well of your saying: for how shall they pray for them, who by no means can be converted from their wickedness, and brought to do the works of justice? Justice is part of the Divine Will. God Himself is Just. We can pray now for those who are dead, but in the next life, there is no longer intercession for those in hell. We pray for great sinners while they are alive and even do penance. We pray for the dead now and offer Masses. But, once the final judgement occurs, the door to intercession is shut forever. Therefore, pray now. There are people who believe in some golden age of the Church when there were no sinners and no need for reformers. Gregory the Great, Doctor of the Church was a reformer who did not mince words about specific needs of reform. Indeed, he practiced a great severity upon himself in order to be purified to a greatest, a relationship with God which all trusted and admired. Yet, his job was huge-in a time of great upheaval and immorality in the Church. I am beginning his statements on perfection with a well-known one of the three stages, which he calls conversion, purgation and perfection. To show the depth of his own call and the call he demanded of his clergy, I post this timely letter. Like all the Doctors, he wrote so much one is spoiled for choice, but as this is pertinent to this day, I start here. 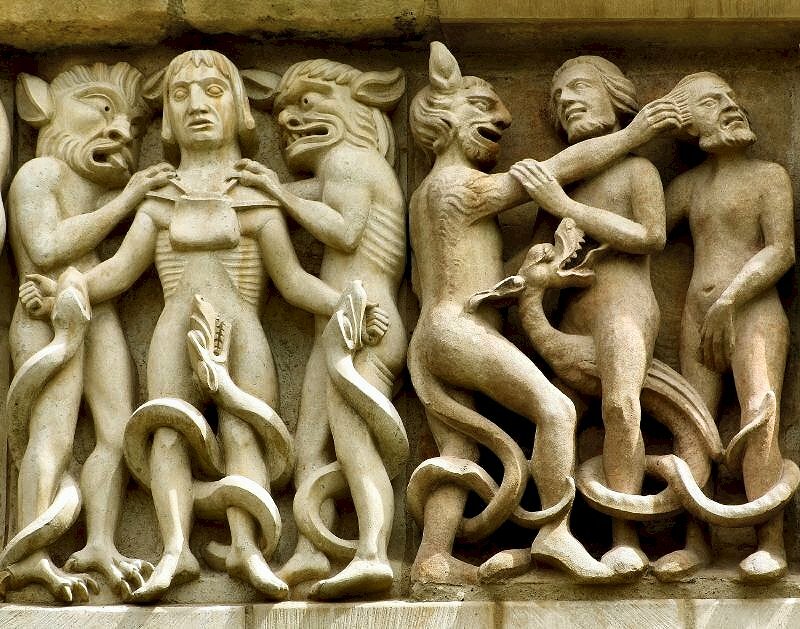 There is a connection in the spiritual life between greed and sexual sin. More later....and nothing will shock a reader in 2013 in this letter. To Virgilius, Bishop of Arelate (Arles) . Since by the testimony of Holy Writ avarice is called the service of idols, with what earnestness it ought to be banished from thetemple of God is acknowledged; and yet (we say it with groaning) by some priests this is not regarded. For fierce cupidity holds the heart captive, and persuades one that what it commands is lawful, and so proceeds as to slay with the same sword both the giver and the receiver. What safe place, then, can hereafter be of avail against avarice, if the Church of God is opened to it by bad priests? How can he keep the sheepfolds inviolate who invites the wolf to enter? Alas for shame! He pollutes his hands by an unlawful bribe, and thinks to lift up others by his benediction, while himself prostrate under his own iniquity, and captive notwithstanding to his own ambition. Since then this evil of rapacity has never entered the citadel of your mind, and you say that you have your hands unpolluted in the matter of ordinations, give thanks to Almighty God, and acknowledge yourselves to be His debtors in that under His protection you have remained unharmed by the contagion of this disease. But this good in you will profit you less than it might have done if you have not carefully forbidden this thing in others also. As in yourself this evil had displeased you, you ought to have been zealous against it in your brother also. For, seeing that the divine precepts admonish us to love our neighbours as ourselves, it is no small fault to disregard them, and not to fear for others what for ourselves we shrink from. Even now, therefore, most beloved brother, give your mind to repairing what you have lost in others through your negligence in correction, and restrain whomsoever you can from this wickedness, and insist on a synod being assembled for rooting out this same heresy, to the end that, with reward to your Love, what shall have been condemned, God granting it, by the ordinance of all may be better guarded against by all. Furthermore, it has come to our ears that our brother and fellow bishop, Serenus of Massilia (Marseilles), receives bad men into his intimate society, so as to have, in fine, as his familiar friend a certain presbyter. who, after lapse, is said to wallow still in hisiniquities. This you ought to enquire into closely. And, if it should prove to be so, let it be your care so to correct this matter in our stead that both he who has received such a one may learn not to encourage him by familiarity, but rather to constrain him by punishment, and he who has been received may learn to wash away his sins with tears, and not to pile up iniquity by uncleanliving. Let your Fraternity hold as commended to you in all respects the monks whom we have sent to our brother and fellowbishop Augustine, and take pains so to succour them for proceeding on their way, and so to concur with them, that through your assistance they may be able, under the protection of God, to arrive speedily at their destination.